Bringing together government agencies, cinema operators, malls and entertainment centres to explore opportunities for developing world class entertainment options for the Kingdom. Gathering the leaders in sport infrastructure, tournament delivery and recreational facilities from across the globe to debate the future of stadium and arena design and development. Learn how to avoid an unused stadium. Focus on strategies to maximise fan engagement and cost-effective commercialisation for stadium and arena operators in Asia. In partnership with Qatar’s Supreme Committee for Delivery & Legacy, WSC 2017 is the largest gathering of stadia industry leaders from across the world. Contacts, communication and deals – FSB 2017, the internationally unique business platform for recreation areas, sports and swimming pool facilities! Products and solutions surrounding games and sports, leisure and wellness. In partnership with Qatar’s Supreme Committee for Delivery & Legacy, WSC 2016 is the largest gathering of stadia industry leaders from across the world. Join over 300 industry professionals at the 5th edition of World Stadium Congress to benefit from inspirational speakers and high level networking over four days. Focus on bringing international consultants, suppliers and revenue centric organisations together with the regional clients that have existing experience of providing services and projects to and for. December 10th & 11th, 2014 at Palexpo, Geneva International Airport. Geneva 2014 builds on the success of past events such as the Amsterdam 2012 and Amsterdam 2010 International Sports Conventions. The world’s leading conference dedicated to the design and development of world class stadiums. Promoting sustainable construction. The world’s leading conference dedicated to the design and development of world class stadiums. Focus on designing and developing sustainable, energy efficient stadiums with a lasting legacy for host cities across the globe. The AMSTERDAM 2012 EVENT will cover 6 expos, featuring 6 Conferences and 6 combined Exhibitions, with the SPORT being the connection. AMSTERDAM 2012 EVENT is anticipated to be the world’s largest Sports Exhibition and Conference Event internationally in 2012. The SPORTS FACILITIES EXPO 2012 will be an International sports convention focusing on all aspects of sports facilities business. It will include an international Sports Facilities 2012 Exhibition and Conference. The PLAYGROUND AND LANDSCAPE EXPO 2012 will be an international convention focusing on all aspects of playground and landscape industry. It will include an International Playground and Landscape 2012 Exhibition and Conference. The International SPORTS TECHNOLOGY EXPO 2012 is the world’s platform to learn, discuss, network and do business regarding all aspects of how modern technology can help sport. Technology in sport is exciting but controversial as it challenges the status quo. The International FOOTBALL DEVELOPMENT EXPO 2012 is the world’s platform to learn, discuss, network and do business regarding all aspects on the development of football. It will include an International Football Development Exhibition and Conference. The PANSTADIA EXPO 2012 will be an International convention focusing on all aspects of stadia and other sports venues and facilities in the professional sector. It will be supported by the No.1 publication for the Sport & Entertainment Facility industry worldwide, PanStadia. The Amsterdam RAI exhibition hall will present the latest products, trends and technology related to artificial turf and natural grass. It will serve as a hub for commercial activity and information exchange. Now in their 14th year the Stadia & Arena series of events are a top level learning, networking and sales event in the European Venue Management industry’s calendar. The world’s leading conference dedicated to the design and development of world class stadiums. Hosted in Qatar the congress programme will bring together influential members of host countries, government and local organising committees. 8th - 10th of May 2012 at Los Angeles Convention Center in California, USA. From Stadiums to Arenas, Stadia Design and Technology Expo, which takes place in Los Angeles, California, from May 8 to 10 2012, will showcase next-generation revenue-generation technologies. In association with Sport Business International, the Summit is expected to attract an international audience of 350 c-level speakers and delegates, including financiers, investors, national governments, sports associations and federations to discuss the financing of sport. Opportunities in the design, development and construction of world class sports infrastructure in the Middle East for all specialist contractors, consultants, architects, engineers, equipment and technology providers. 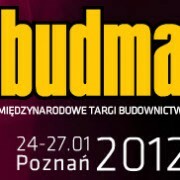 The Budma is one of the largest construction fairs in Eastern Europe. Manufacturers and suppliers from the (sport) construction industry present their products and services – from subbase construction, stadium consulting to artificial turf and construction tools. The IOG Awards 2011 recognises achievement, innovation, fresh thinking and the leaders in the world of Groundsmanship. The IOG raises industry standards, encourages greater professionalism and improves awareness of the sector. The Forum will explore the challenges Russia is facing in the build-up to the World Cup, and the role that international specialists might play in providing the expertise and the capital to overcome them. IOG Saltex is the UK’s Number 1 open space management event and will be back at The Royal Windsor Racecourse from the 6th – 8th September 2011. This dynamic show features the latest innovations in grounds care, sports facilities and landscaping. 12th - 14th April 2011 at Los Angeles Convention Center in California, USA. Stadia Design and Technology Expo 2011 opened its doors from April 12-14, 2011 and promptly established itself as the must-attend annual convention for anyone involved in the business of operating, designing, and developing stadiums, arenas and sporting venues. The IOG Industry Awards recognises achievement, innovation, fresh thinking and the leaders in the world of Groundsmanship. The IOG raises industry standards, encourages greater professionalism and improves awareness of the sector. A one-day event of seminars and an exhibition featuring the leading constructors of sports facilities, suppliers of related products and services, as well as professional consultants offering expert advice on sports facility projects. A two day exhibition organised by the IOG (Institute of Groundsmanship). IOG Scotsturf is the only event for the grounds care, sports amenities, landscaping and estate management sectors, with an unrivalled reputation for ideas and innovation in Scotland. The theme for the 2010 Lausanne International Sports Management Conference is “Bridging Research and Practice”. Check back on SVC regularly for upcoming events, exhibitions and seminars in the sports construction industry.